Z-Standard (AKA. 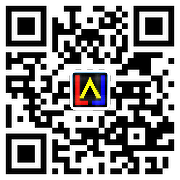 Hangzhou ZI - ZHENG Intellectual Property Consulting Services Ltd.) was geared up since 2010. We are adjacent to internationally renowned enterprises and established extensive cooperation with Alibaba, Netease, Geely automobile, Zhejiang University and other enterprises. We are particularly proficient in Chinese intellectual property，such as patents, trademarks, copyrights, etc. Z-Standard as a new generation of professional intellectual property agency that dominates over the domain of comprehensive intellectual property protection strategies. Z-Standard is not only a professional organization that has always focused on the acquisition and protection of intellectual property rights, but also attach great importance to the international cooperation of intellectual property rights. Z-Standard has established long-term stable cooperative relations with more than 180 countries and regions in the world, and has gradually grown into internationally recognized leading intellectual property agency. Joss Wang（Chinese name:王嘉）——Z-Standard founder, who is well known as Intellectual property lawyer, is very good at defending intellectual property rights. Either the plaintiffs or defendant, he played a great agent role in litigation and won the customer's appreciation. Goal: To help rights holders truly realize the value of intellectual property.